GM Diet which was developed by the General Motor Company helps deal with weight loss problems in a few days. 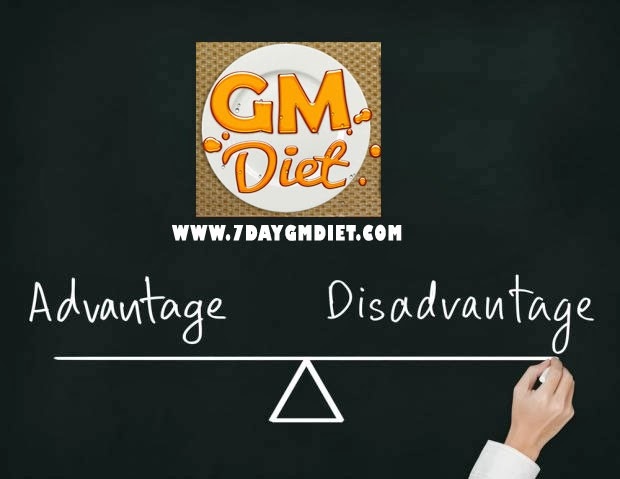 Like every other diet program, even the GM diet has got both side effects and health benefits. In this article, let us find the side effects of General motors diet and how to overcome them. Each individual needs a regimen that suits their body requirements, may it be for weight loss or weight gain. Whatever the goal is, a diet has to fulfill all the nutrients and proteins required for a human body he or she is going to suffer unhealthiness. While many people maintain empty stomachs, millions are trying to skip eating to lose weight. Dieting is a great way to get rid of extra pounds and help us stay fit and active. But, improper dieting can lead to several disorders. There are many diet plans such as Atkins diet, the south beach diet etc…One such promising diet plan developed by the GM Corporation is the GM diet plan which helps in losing up to 10-15 pounds in just seven days. Well, like every other diet on this planet, the General motors diet too has some advantages and disadvantages. Today, let us discuss those points in this article. GM Diet is proven to reduce almost 3 to 5 kgs in a week. Unlike the other diets which require at least 2 weeks to 3 months, you enjoy the benefits of the GM diet in just seven days. Develops healthy digestive system – Since the diet is strictly limited to fruits and vegetables on the first 3 days, your digestive system will improve than usual. Provides your required energy – It gives you more energy and less fat. Helps in managing your weight when required. Helps you get back your figure in 7 days without much effort. Since the cabbage soup is high in fiber and low in calories, it is generally prescribed to obese patients. There are around 20 calories for every 100 grams of the soup, but provides more than 53% of the DA of C vitamin (recommended dietary allowance) every day. The fruits on days 1, 3 and 7 provide vitamins A, C and E. The tomatoes are rich in antioxidant, lycopene. The potatoes and mushrooms are rich in B-complex vitamins. The meat on days 5 and 6 is a rich source of iron and vitamin D. The skimmed milk on day 4 is high in calcium and potassium can be found in bananas. A lot of people suffer from headache in the first two days. Other difficulties like hair fall and dry skin. Not recommended for pregnant women until 6 months after the delivery. Should not be performed during the menstrual period. The first two side effects can be avoided if you drink at least 8-10 glasses of water each day as water helps your body from getting hydrated and thus prevents those difficulties like headaches, hair fall and dry skin. However, it is always recommended to take the suggestion from your doctor before trying any diet and check whether it will suit you or not.